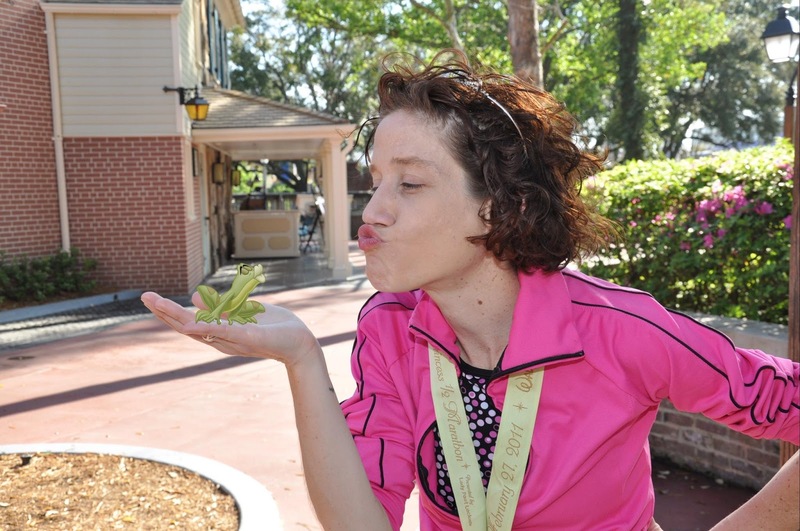 Although Leah is the Garmin obsessed race addict, I did start using the Nike Plus app on June 23, 2012. The pace isn't very accurate in comparison to the Garmin, but it does inspire me to see that I have logged 1,270 miles in the last 8 months! While I have multiple training schedules, including the Charlottesville Marathon/Half Marathon Training Program and the Cherry Blossom 10 Mile Run Virtual Training Program, I have to admit that I don't follow them very well, except for the mileage. My "A" goal is to run "fast" and complete the race in 2 hours with team 'TwinsRUNinOurFamily" finishing in the top 10 of sister/sister teams. This seems like an achievable goal if the conditions are right and I feel good. My overall half marathon PR was at the 2008 ING Philadelphia Distance Run (1:48:57). My runDisney half marathon PR was at the 2011 Disneyland Half Marathon (2:05:07) and my Princess Half Marathon PR was 2:23:44 in 2011. My "B" goal is to run slow, stop for all the photos and have fun! If the conditions aren't ideal or I'm not feeling well, I'd rather enjoy this race and then try to PR at the Cherry Blossom 10 Mile Run on April 7 and the Nike Women's Half Marathon on April 28. 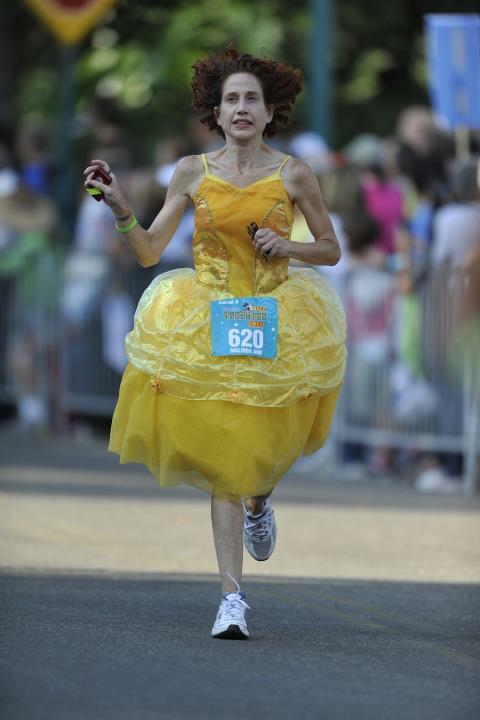 Do you have goals for the Princess Half Marathon - do you have a time goal or a fun goal? With my bum knee and like you said "it is a Disney race" -- these days I seem to be stuck at 2:24. I almost cracked 2 hours once, but my body has left those days way behind. Hope you get your 2 hours. Enjoy the race whatever pace you decide is perfect on Sunday. See you there! Have a great race, no matter the outcome!!! Can't wait to see ya in DC for Cherry Blossom + Nike Womens! !